BANGLE BALLL ENDS. Adjustable Cuff. * 925 sterling silver bracelet. * 1 micron, 18 carat gold plated on 925 sterling silver. 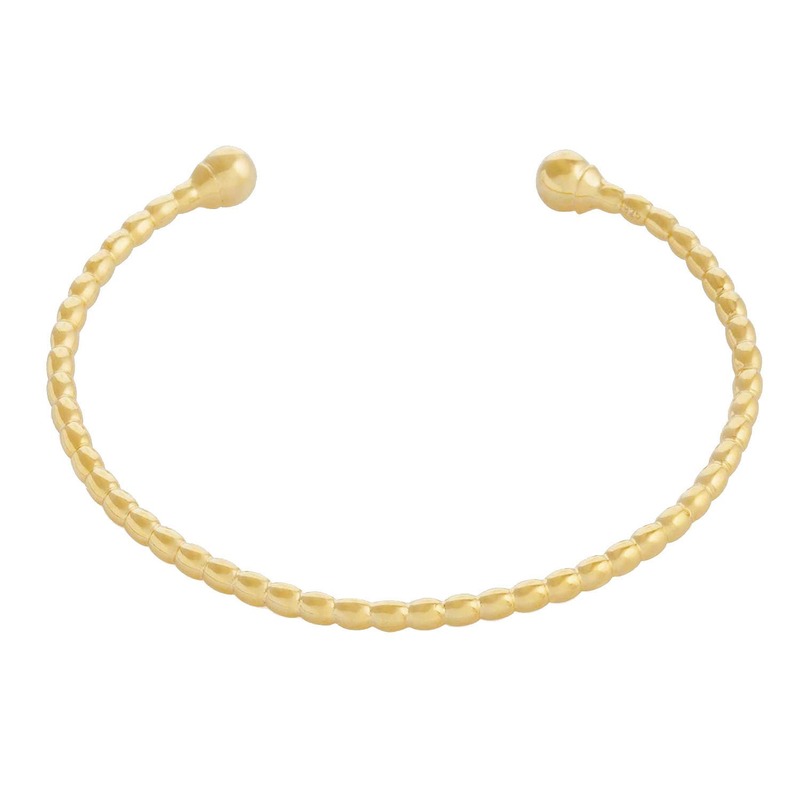 Fashion bangle with a minimalistic and open design. A design that combines the modern and classic style and silver and gold finishing. This torque bracelet is designed by a ball wired band with a ball ending and inspired by the 40s and 50s. We offer the after sale service of gold plating. Only for jewels purchased in this shop.